In today’s digital age, there are several means of storing video and audio files. Options such as www.youtube.com and www.myspace.com allow individuals to share video of any kind. But how is that video being stored? 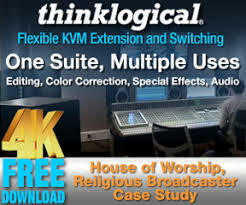 Consumers, businesses and church media ministries face the same challenge each day: “I have five or six videos that need to be stored on my computer for retrieval later. What are my options?” Guess what? Using traditional methods, a regular computer, is the only choice most users think they have. Computers built today will typically only incorporate a single hard drive with maximum storage of 500 GB. With the advent of the camcorder, everyone thinks they’re a videographer. They make home movies, film special events, capture vacations and church functions, and they want to share all of it with friends and family. However, one problem exists; where do you store all of this video? The typical hard drive has two partitions, one for applications and one for documents and files. Unfortunately, the typical computer does not always work. However, we now have options. Prior to Microsoft Vista, Microsoft developed another operating system called Media Center Entertainment or MCE for short. From this software, Media Center PC’s were developed. These computers were built with the consumer in mind. Multiple hard drives with multiple partitions; at least 1 GB of RAM and RAID on board, and the ability to handle the typical amount of video the average media ministry will create and store in a year. The majority of MCE media servers built today are designed for home use. However, because of their construction, the units are capable of storing video for the discriminate videographer. Companies such as Stack 9 Systems, Inteset, and Niveus Systems have designed storage server systems that are capable of operating as media servers. 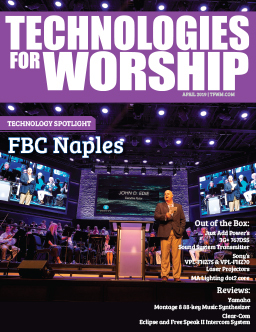 One thing we must keep in mind is the actual application and functionality of a unit needed for a media ministry: content storage and content management. The average media ministry capturing video footage has three services a week. This equates to 156 services a year, not including special events. The church I attend averages five services a week. This equates to 260 services a year. Each service is recorded and the video must be stored somewhere, on something for easy retrieval. Although the companies mentioned above produce units capable of being used as media servers, they mainly produce products for the home environment. Media ministries that are ready to use a media server to host all of the audio and video content must consider the following: INVEST! Many churches want to take a shortcut in purchasing the least expensive computer available. Minimizing cost and maximizing output does not always work. This works in the short term, but when you approach week 49 and you need access to information from week five, how accessible is the media? Is it stored on DVD? VHS? Multiple external hard drives? Or, is it stored on several local computers throughout the church? One option to consider is building a server to house all of your media content. This investment enables the media ministry to not only be able to retrieve its own content for editing, but also stream content onto the Internet. I am a huge proponent of streaming, however not all ministries are ready to stream. Regardless of streaming; the media must be stored, maintained and easily accessible. Mainstream companies such as HP, Compaq, and Dell are able to build servers to house media content. When venturing into this area, working with an Intel Product Dealer (IPD) is best. Computer companies with this distinction are able to come into your church, discuss your needs and build a server with the proper applications. Another option is storing your video content on external hard drives. Companies such as LaCie, G-Tech, Medéa (recently purchased by Avid), Seagate, Western Digital, and Maxtor, offer drives with RAID technology and hot swappable drive bays to allow faster transfer rate of data. These external storage devices allow users to store, edit, and retrieve their content directly from each unit. The first three, G-Tech, LaCie, and Medéa are considered industry leaders in the media storage market for the video professional. Each company offers units with some type of fail-safe software which ensures no loss of data or data rate in the event of disk failure. 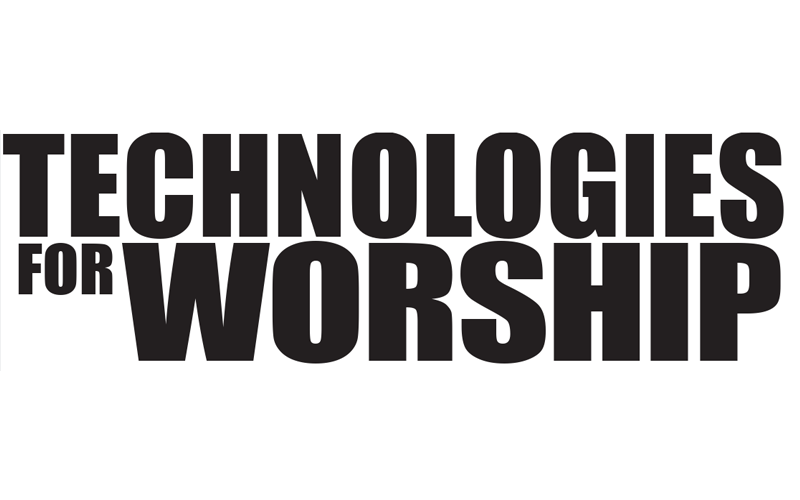 There are many factors to consider when deciding what hardware and software is best to accomplish the needs of your church. Whether you build a media server or use external hard drives to store your media, this will always be a tough decision. Before making a decision, always consider the needs of your ministry and your long-range goals.